For over 30 years Alan has served on the executive boards of a number of private and public sector companies, operating globally in a diverse range of industries. These sectors include environmental health and building sciences, mining exploration, chemicals and industrial minerals. He is President & CEO of Radon Environmental Management Corp. and a founding board member and President of CARST. Alan also serves on the Canadian National Radon Action Month Campaign Committee, the Coalition of International Radon Associations, and Cancer Survivors Against Radon. Through his leadership at Radon Environmental and as President of CARST, Alan is dedicated to the prevention of radon-induced lung cancer and is passionate in making change happen. Scott Cryer is the National Practice Leader for radon at Pinchin Environmental, based in their Mississauga, Ontario office. A Professional Geoscientist (PGeo) since 2004, Scott has over 25 years of experience dealing with environmental, health & safety issues. His experience includes the assessment and management of surface and sub-surface soil and groundwater contamination, asbestos, lead, mould and radon. Scott is certified with the National Environmental Health Association – National Radon Proficiency Program (NEHA-NRPP) and the Canadian National Radon Proficiency Program (C-NRPP) as a radon measurement and mitigation provider. Scott is one of the Pinchin Group of Companies experts on radon, and provides consulting services to clients nationally regarding radon issues. Bill Rounds is Vice President of RADONOVA, INC., a global leader in radon measurement, responsible for sales and operations for the Americas and Australia. Bill is also the GM for HOMEBUYER’s PREFERRED, a business of RADONOVA that provides radon services to the corporate relocation marketplace. Bill has been working with RADONOVA (and previously Landauer, Inc.) for 15+ years, most recently responsible for sales, operations, and P&L. Bill serves the radon community in numerous capacities, including the AARST Foundation Board of Directors, Corporate Relocation Council (CRC) Board of Directors, Midwest Relocation Council (MRC) Board of Directors, CARST Treasury, CARST Membership Committee, Mobility Magazine Editorial Advisory Committee, as well as several program planning committees/panel moderator for Worldwide ERC, CRC, and MRC. Bill is a Certified Relocation Professional (CRP), and Global Mobility Specialist (GMS), and is an active member of the American Association of Radon Scientists and Technologists (AARST), the MW AARST, and CARST. Marcel Brascoupe is a general construction contractor with a background in electrical and building systems/HVAC working in the province of Quebec, specializing in the installation of radon mitigation systems. He is certified with C-NRPP for both radon measurement and radon mitigation since February 2010 after receiving on-site training from the Canadian Mortgage and Housing Corporation (CMHC), Mr. William Angell, and Mr. Jack Bartholomew. He is also certified as a C-NRPP Radon Trainer in both Measurement and Mitigation and has trained professionals across the country. He has been an Assistant Community Service Director with the Algonquin First Nation community of Kitigan Zibi Anishinabeg. Marcel has been instrumental in a project to train work crews in different First Nation communities across the province of Quebec and New Brunswick to identify and mitigate the radon issues they have encountered within their own communities. Marcel is bilingual in both French and English, and he is a founding board member of CARST. Anne-Marie began her academic career in the social sciences at SFU (Communications BA) and then developed a strong interest in environmental and occupational health during her Master’s degree at York University (MES). She completed her PhD in Epidemiology at UBC where she currently teaches Risk Assessment and Toxicology in the School of Population and Public Health. Her areas of research span the diverse subjects of human health risk assessment, environmental health and knowledge translation. In particular, she investigates how to improve the communication methods that are used to describe population level exposures to cancer-causing substances, specifically using techniques such as geographic information systems (GIS) and data visualization. Anne-Marie has also produced a number of short videos to promote awareness of environmental hazards such as pesticides (Wash with Care) and tick-borne diseases (the Tick Talk). Bob Wood holds a Bachelor of Education, a BA in Adult Education and an Associate's Degree in Industrial Training. Bob is a NEHA-NRPP and C-NRPP certified radon mitigator and residential measurement professional and a Radiation Safety Officer (RSO-1). He spent 30 years in the commercial/industrial sector as a plumber and in other management roles. Bob is one of the certified instructors for the C-NRPP. He teaches exam prep courses for both radon placement technicians, and the new CRNCH course for the construction industry. Bob also provides public outreach courses about radon to the general public and to builder associations; He has also qualified for the National Speakers List on Radon and is a popular speaker at conventions. Mr. Wood owns Mr. Radon® and is a founding member of CARST. Colin Dumais has a Bachelor of Science in Environment from the University of Calgary, a diploma in Object Oriented Software Technology also from the University of Calgary, and is one of only 20 Canadians to have achieved NABCEP certification for the design of Solar PV systems. He is also C-NRPP certified as a radon measurement and mitigation professional and trainer. Colin has worked professionally as a Software Engineer, a Technology Specialist and most recently as an Environmental Policy Specialist where he influences policy at the Provincial and Federal levels. He loves to share his passion for renewable energy and energy efficiency so he has developed relevant educational curriculum and has presented many times on the topic to Universities and Colleges. Leading by example, Colin built a modern, low-energy home that will be powered completely by onsite renewables. Colin continues to use the principals of engineering and technology to design mitigation systems that operate efficiently and economically using enhanced diagnostic methods and procedures. After finding and mitigating radon in his family’s home, he founded Radon West Ltd where he works to raise radon awareness and ensure that mitigation systems are designed efficiently and are of the highest quality. Mark Diplock has accumulated over 15 years’ experience working as a home inspector. As a former owner and president of a multi-inspector firm operating out of the Niagara region, he has gained an intrinsic understanding of the home inspection industry, including its market and clientele, and the professionals (inspectors) executing the services. With a strong background in construction, renovation, and professional carpentry, Mark has earned his credentials and qualifications in building code, thermography, radon testing, energy audits, and many more. Since the changes to the Canadian threshold guidelines in 2007 by Health Canada, Mark has been a strong advocate for radon awareness and is currently a member of C-NRPP and CARST. Mr. Decker has over 20 years’ experience in Environmental, Health and Safety and Building Science industries. His designations as a Certified Engineering Technologist (C.E.T) in civil and environmental engineer, Building Science Specialist Ontario (BSSO)and a Registered Occupational Hygiene Technologist (ROHT) provide him with a multifaceted understanding of how the built environment affects the health if occupants. Bruce has provided specialty consulting services for his entire carrier for institutional, commercial, industrial, residential and environmental sectors. His expertise and specialization has seen him assist clients across the provinces and territories. Trained in Risk Communication Mr. Decker can accurately address share holder concerns in a high-risk low-trust environment. Mr. Decker has extensive Indoor Air Quality experience and practical experience in all aspects of IAQ investigations, radon and soil vapour intrusion studies. He has been involved in all aspects of assessing, reporting, specification preparation, project tendering, contractor oversight and clearance testing for hundreds of building renovation and demolition projects across Ontario. Decker has sat on the Environmental Abatement Council of Ontario (EACO) asbestos, mould, vermiculite and radon technical sub-committees and currently sites on the Canadian Standards Association technical sub-committee for Infection control during construction, renovation, and maintenance of health care facilities technical sub-committees. Although limited work has been conducted in increased radon exposure from quarry activities Mr. Decker’s multifaceted background, training and certifications provides him with experience needed to assist in this project. Mark Donohue is the Vice-President of the Building Science Group at Le Groupe Gesfor Poirier, Pinchin inc. A licensed Professional Engineer in the province of Quebec since 2000, Mark has over 23 years of experience dealing with environmental issues, building envelope problems, as well as occupational, health and safety concerns. 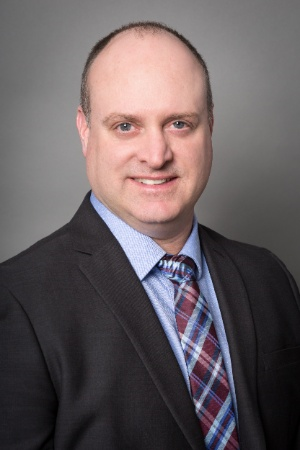 His expertise includes managing physical and environmental due diligence work often in connection with some of the largest commercial and industrial real estate transactions in Canada. Mark has an extensive background in assessment and remediation of asbestos, lead, mould, and radon in existing buildings. Mark is certified by the Canadian National Radon Proficiency Program (C-NRPP) as a radon measurement and mitigation provider. He provides engineering consulting services for radon and has successfully designed and implemented radon mitigation systems for numerous schools and commercial buildings throughout the province of Quebec.